When dealing with back pain, you want the fastest and easiest solution for your patients. With Victory Medical Back Braces and our credentialing partner, you have all the tools necessary to provide the best help to your patients. We have partnered with Adamas Healthcare Consulting to speed up and simplify your DME Credentialing Application process. Adamas Healthcare Consulting can help you cut through the red tape and get your DME application completed and approved. You collect, complete, and submit all paperwork. Wait up to 6 months to get credentials on your own. Make required revisions and resubmit. No guarantee of credentials on your own. Our partners complete the paperwork for you. The waiting process is waived, so no waiting required. Because we have so much experience, no revisions will be required. Your DME applications will be approved. You are all set! The VForce Flex is a truly unique brace designed with the patient in mind. No other brace has the technologies or the ability to help the patient recovery. It is L0637 certified to meet the stringent standards of Medicare/Medicaid, and private insurers. The VForce Razar is a cost affective treatment for low back pain that does not require the severity of VForce Flex. 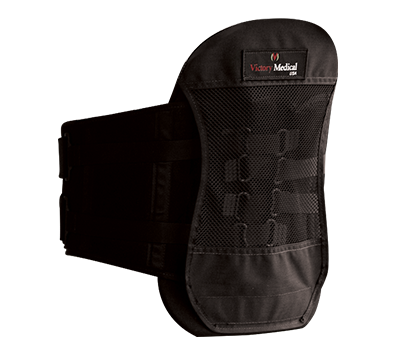 Rigid anterior and posterior panels stabilize the spine, restrict range of motion and control pelvic tilt and rotation. the anterior panel and the strapping method provide hydrostatic lift to help relieve the load and stress on the spine. Elastic inserts give a conforming fit around the hips, and the fully adjustable, patented closure system does not rely on elastic, for an extended product life. The ultra-thin profile allows for comfortable, inconspicuous wear. 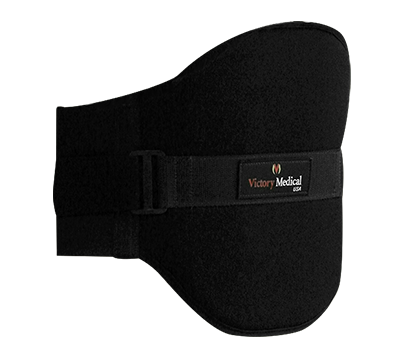 The VFORCE FLEX TLSO features an innovative design with no hard sternal pads and a unique cut out to reduce spinal pressure and increase airflows. Perfect for post-operative spinal surgery, kyphosis due to osteoporosis, and mechanical back pain due to scoliosis. The TLSO is easy to fit and provides maximum comfort. 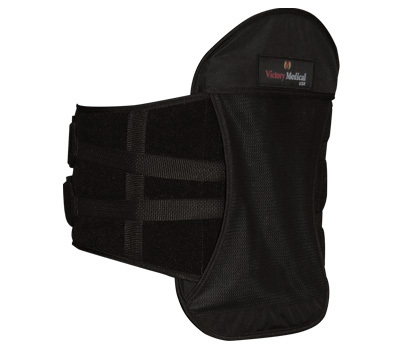 The V-Transformer has lumbar support that combines rigid anterior-posterior and media-lateral control with abdominal compression. 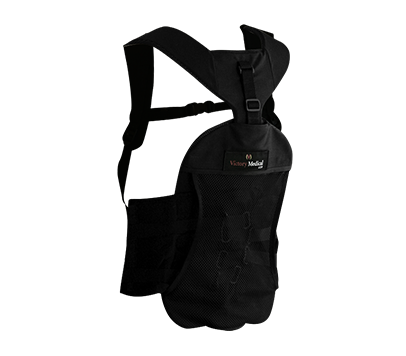 The strapping system allows for independent adjustment of the upper and lower sections, making this a very easy brace to wear. If you have chosen to use a hot/cold pack with your brace, insert on back of brace, elastic strap will hold pack in place. Cold therapy is often used immediately following an injury or activity and for at least 48 hours thereafter. Hot therapy is often NOT used for a 48-72 hour time period after injury unless speciﬁcally indicated by a health care practitioner and is typically used for longer term, chronic issues. As always, be sure to consult with your health care specialist regarding your speciﬁc injury and the indicated treatment solution. 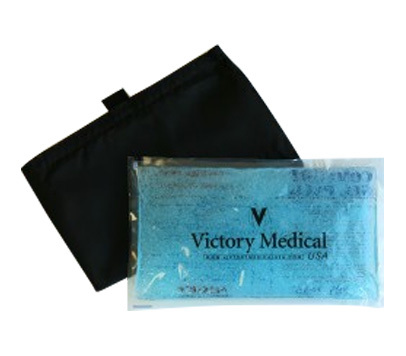 Do you think Victory Medical products are a fit for your patients?